Bleecker Street has released the official Teen Spirit trailer and poster for Max Minghella’s upcoming musical drama directorial debut starring Elle Fanning (The Beguiled). Check out the trailer below as well as the full poster in the gallery! Violet (Elle Fanning), is a 17-year-old who lives with her mother (Agnieszka Grochowska) on a small farm on the Isle of Wight. While she spends her days doing chores, waiting tables, and going to school, she mostly tries to keep to herself. During her free time alone, either in her room, with her horse, or at an open-mic night, Violet yearns to be a singer. Naturally gifted with a lovely voice, her dreams of becoming a pop star don’t seem that far-fetched. With the help of an unlikely mentor, she enters a local singing competition that will test her integrity, talent, and ambition. Over the course of the film, Violet learns how to come out of her shell and embrace her seemingly impossible dream. Featuring Elle Fanning performing music by Robyn, Ellie Goulding, Tegan & Sara, Annie Lennox, Orbital, Sigrid, Carly Rae Jepsen & Jack Antonoff. Additional music by Ariana Grande, Katy Perry, Grimes, The Undertones, Aqua, Alice Deejay, Whigfield, Major Lazer and No Doubt. Minghella wrote and directed the film, which also stars Rebecca Hall (The Town, Professor Marston and the Wonder Women)and Zlatko Buric (1864, Montana). Fred Berger (La La Land) is serving as producer. 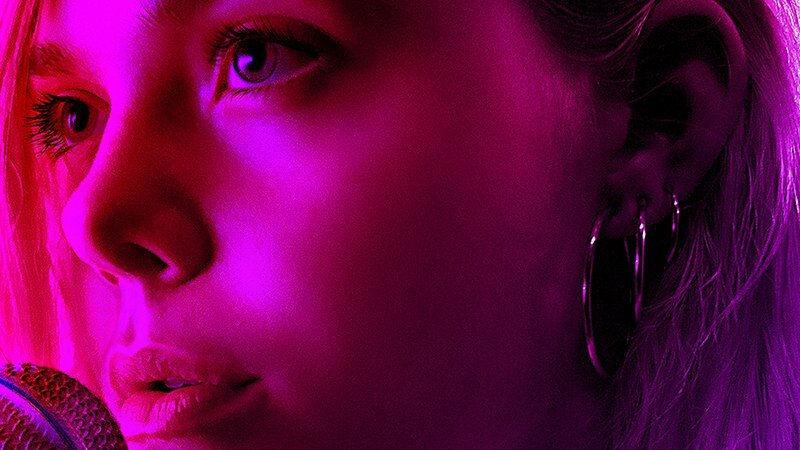 LD Entertainment and Bleecker Street will release Teen Spirit in select theaters on April 5, 2019. The post Max Minghella’s Teen Spirit Trailer & Poster Released appeared first on ComingSoon.net.